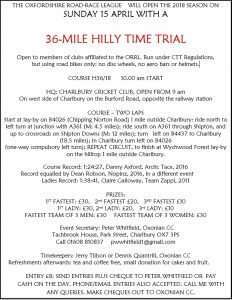 The entry details for the first round of the Oxfordshire Road Race League (ORRL) are out. 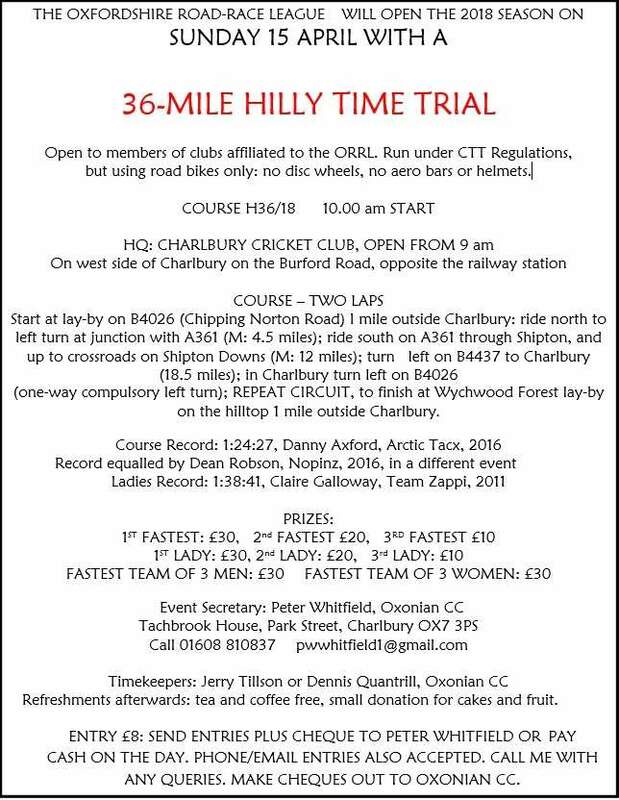 As with last year, it’s a challenging Individual Time Trial on road bikes on the Charlbury H36/18 course. Entry is open to all club members, however to count towards league points you’ll need a British Cycling Race License (and be 3rd or 4th category). You will need to pre-register (details on the flyer below). There are separate prize pools for men and women too, so really is a chance for everyone!